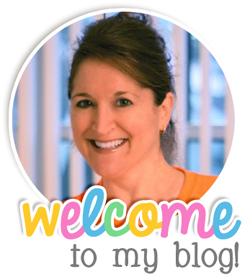 Teaching With Love and Laughter: Manic Monday at Classroom Freebies! It's just another Manic Monday...wish it were Sunday...my I don't have to run day. I just LOVE this song and I LOVE Manic Monday at Classroom Freebies! Thanks, Charity! I'm linking up and sharing a freebie I posted last week. 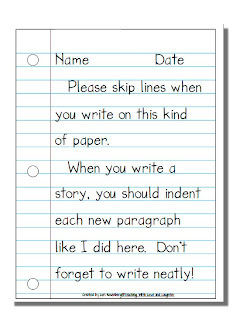 My first and second graders write on notebook paper a lot and have a difficult time figuring out how to properly use this type of paper. To help them be successful without having to ask me, "Is this the right way?" I keep a laminated model showing the proper way to use notebook paper at each table. They find it very helpful and I love to watch them comparing their paper to the model. If you would like a copy, please click the image below. You can link up, too! Come and join the fun! I love the idea of having a laminated copy at each table! Thanks for sharing!! This is a great idea! Thanks for the freebie. What a great visual! I found you on Manic Monday, I'm your newest follower! I'd love you to come by my blog, too. I'm exhausted from all the blog hopping I did because of Manic Monday! I found such great stuff! Thanks for finding me. I'm on my way over to your place! I heart your form! Thank you for sharing! P.S. I am your newest follower! You are so welcome, Sylvia! Now, I'm YOUR newest follower! Too funny! I just stopped by your blog and shared a bit how I teach super sentences! I love your idea. Isn't it funny how all you have to do is give the children something different to write on, and it holds their interest! Post-it's, sentences strips...anything but plain old paper and pencil! Yes, Danielle, I love them. Thanks again for sharing!